So I'm building a new led headlight for one of my motorbikes and an aspheric lens set up I've bought as part of it came with a big old box containing the driver and stuff. As usual with Chinese stuff a generally decent thing gets let down by a small part. This is for an off road bike too so it needs to be tougher. Can I just fill the box with potting compound and seal it up? Make sure that whatever you use, it doesn't contain acid. Personally, I'd go with a conformal coating applied by spraying. I thought it was gonna be some special fancy pants compound. I've got sikaflex in stock for various jobs. 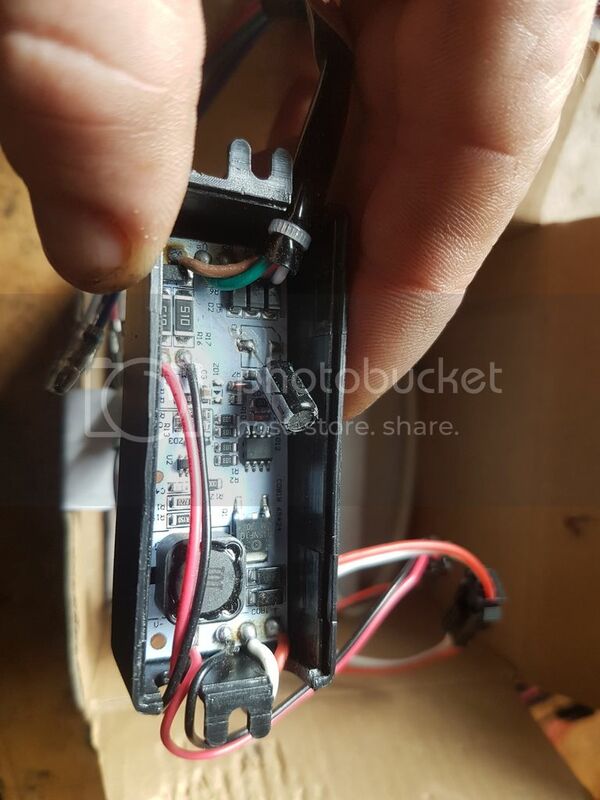 They do sell a specific product for this at the electrical whole salers, its for filling in external connection boxes, cant remember the name though. Cheers, yeah i was expecting to buy something specifically for it but if i can use something ive already got i'm all for that. Ive used sikaflex in the past for many jobs, but for potting its not advised, potting compound is specifically designed for protection from shock and or weather. When you use the potting compound, make sure the area your sealing is sealed itself ( no holes in the underside ) as it tends to leak through every orifice as its designed in that way. Not cheap but buy once, cry once ! Already gone the sikaflex route ash. I was careful to get a good seal and as solid a 'block' as I could sealing all around and into all the nooks and crannies.